Have you ever wondered if you should invest in property through an investment vehicle, instead of as an individual? In this three-part series on investment vehicles, we’ll go through the various types of taxes that are applicable when buying property in the UK individually and through a company, so that you can have a better idea of the differences between the two. Different taxes apply at different stages of owning a property — when you buy it, whilst you own it, and when you sell it. In Part 1 of 3, we go through the initial stage of owning a property in the UK, which is when you buy one. The tax involved when you buy a property is called the Stamp Duty Land Tax (SDLT). When buying a property, you are required to pay stamp duty to HM Revenue & Customs within 30 days of completion. Generally, your solicitor, agent or conveyancer will assist with filing and paying the tax on your behalf and adding that amount to their fees. Otherwise, you can file the return and pay the taxes yourself. If this is your first home purchase, and it costs less than £500,000, you can claim relief as a first-home buyer. This means that you don’t pay any stamp duty up to £300,000 and only 5% on the portion from £300,001 to £500,000. If you already own or previously owned a home outside the UK, you can’t claim relief. If your first home purchase costs more than £500,000, you follow the rules for Single-House Owners. Single-house owners are those who have previously owned a house before, but have sold it. This also applies to property outside of the UK. Single-house owners don’t pay any stamp duty up to £125,000. You only begin paying stamp duty at various increments from the next £125,000 (the portion from £125,001 to £250,000) onwards. Any portion above £1.5 million is charged at 12%. If buying another house means you will own more than one property, higher rates apply, unless the house you are buying is less than £40,000, in which case you pay 0% stamp duty. Stamp duty rates are higher by 3% across the bands for buyers who already own a home (in or out of the UK). If you own just one house now, and are planning to buy a new one as a replacement, Multiple-House Owner stamp duty is applicable. However, you can get a refund if you sell the old one within 36 months of purchase. Buyers of commercial property don’t pay any stamp duty for property price up to £150,000. You pay stamp duty of 2% for the next £100,000 (the portion from £150,001 to £250,000). Any portion above £250,000 is charged at 5%. Stamp Duty on Commercial Property (buying as individual). Do stay tuned for Part 2 of Investment Vehicles: Owning a UK Property. What are your thoughts about buying UK Property through an investment vehicle? Drop us a comment below. If you are interested to explore UK Property’s potential for high returns, don’t hesitate to give us a call at 3163 8343 (Singapore), 03-2162 2260 (Malaysia), or email us at info@csiprop.com! Disclaimer: This article serves as a guide to investors. Kindly note that CSI Prop is not a licensed tax advisor. Accordingly, you should seek advice based on your particular circumstances from independent advisors and planners. The returns from investing in the UK commercial care homes sector are undoubtedly attractive. But, beyond that, what this particular investment extends, above other investments, is the fulfilment of having played a part in providing care for those who need it. Investor interest in the UK healthcare market reached historic highs this year. By the end of May, investment volumes had hit £687bn – significantly higher than the £492bn invested in the same period last year and the £417bn reported in 2016.
Notable transactions in the first quarter of 2018 alone include Triple Point Social Housing REIT’s investment in supported housing worth more than £40m and Impact Healthcare REIT’s sale-and-leaseback deal on three purpose-built care homes operated by Prestige Care Group for £17m. Healthcare is becoming an increasingly popular sector for investors. Results from CBRE’s recent EMEA Investor Survey show that healthcare is one of the most popular subsectors of the alternatives market, with large numbers of investors looking to get into the sector. This is reflected in increased demand: in spite of healthcare staffing challenges arising from Brexit and a social care funding crisis, occupancy rates for UK care homes rose for the fifth consecutive year. Demand for the sector is now at its highest level in over 20 years, translating to a record volume of about £12bn healthcare deals in 2017, reports Knight Frank. It is anticipated that investment volumes in healthcare real estate will continue to grow thanks to strong investor demand for this sort of long-dated, fixed-income stock. CBRE reports that the key factor underpinning the potential for future growth in the UK’s healthcare real estate sector is the need to accommodate the mounting care needs of the British aging population. And, these needs are real, especially if one looks at the estimated shortfall of 148,777 market standard beds by 2021 coupled with 6,600 care homes at risk of closure over the next five years. Currently, 85% of care home stock in the UK is over 40 years old with half of the existing 480,000 care home beds not fit for purpose. 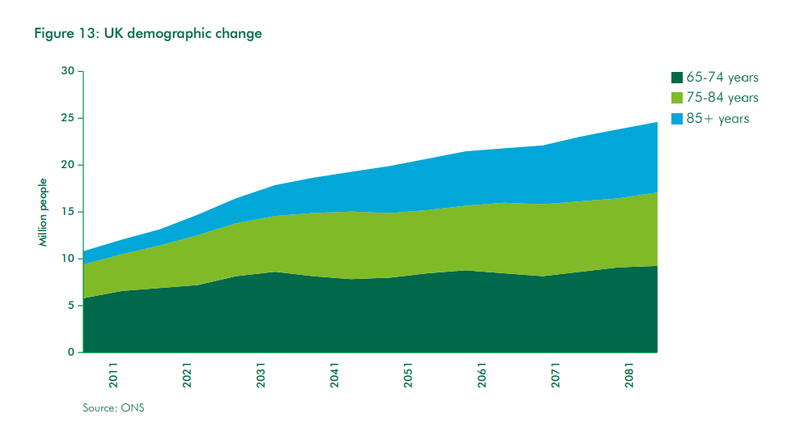 CBRE projects over-85s in Britain to grow by 50% to 2.28m in 2026, quadrupling to make up a total of 8.8% of the UK’s population by 2081. Dementia is a growing concern among the elderly as well, with a pressing need for specialist care to give sufferers an adequate standard of living. In the absence of a cure, the overall number of people in the UK with diagnosable dementia will treble to over 2.5 million by 2081. In the care home sector alone, this growth will result in the need for an additional 200,000 specialist dementia beds over the next 25-30 years, representing an increase of 40% on current numbers. Knight Frank Head of Healthcare, Julian Evans, said that investment was needed in the current market with demand outstripping supply. Virata Thaivasigamony of property consultancy CSI Prop echoed the findings from CBRE’s Investor Survey, saying that there has been good response among Malaysian investors towards UK care homes. But for him, there is more to the investment than monetary gains. “What the elderly care homes investment extends to the investor — above other investments — is the fulfilment of having done something for the good of others. Yes, it is undoubtedly a profitable venture, but it is also an investment that adds value to society and truly makes a difference. “Caring for the elderly and infirm, especially those with dementia, is not akin to caring for an elderly but, otherwise, relatively healthy mother or relative at home. It requires specialised care. It is enabling the elderly to have dignity in the last few years of life, providing them with the care that their children, family member and friends cannot provide for them,” Virata said. Rental yields for a UK Care Home vs a Klang Valley Apartment. Note: Klang Valley prices and rental returns are estimates based on current market conditions. At the moment, residential property in Malaysia is showing lacklustre demand among investors. The glut of unsold housing indicates that the local market is currently on a downward trend, which is driving investors to search of better returns elsewhere. The number of unsold completed residential units for the first quarter of 2018 totalled 34,532 units, worth RM22.26bil, the National Property Information Centre reported in June. This represents a 55.72% increase from the 22,175 unsold units last year. In ringgit values, this represents a rise of 67.82% from last year’s RM13.27 bil. What are your thoughts about the investors flocking to the Care Homes sector in the UK? Drop us a comment below. If you are interested to jump on the Care Homes bandwagon with the potential for high returns, don’t hesitate to give us a call at 3163 8343 (Singapore), 03-2162 2260 (Malaysia), or email us at info@csiprop.com! The Australian Banking Royal Commission was established last December, after years of public pressure, to investigate alleged misconduct by Australia’s financial services entities. So far, proof of appalling behaviour by Australia’s major banks and financial planners from the past decade has surfaced, which include alleged bribery, forgery of documents, the repeated failure to verify customers’ living expenses before approving loans, and selling insurance to people who are unable to afford it. In the aftermath of the scandals, several high profile finance executives have resigned, while shares of Australia’s major banks have all fallen at least 20% from highs reached before last May’s budget. Commonwealth Bank, Westpac, and National Australia Bank shares are about 23% below their peak of late April 2017, while ANZ’s stock has fallen 20%. Even as the Royal Commission goes on, tighter lending standards have already been enforced by the Australian regulator, with some self-imposed, as banks attempt to realign lending practices with responsible lending principles. There has been concern that as tightening regulations reduce availability of financing, demand for property will follow suit, causing a drop in house prices. Several experts have chimed in on the matter. JP Morgan’s Australian economics team suggests that the Royal Commission will cause slower credit growth, job losses in the finance sector and slower household consumption, which will lead to declines in house prices in the short term. While JP Morgan believes the fallout from the Royal Commission creates short term downside risks for the Australian economy, in the long run it will leave Australia’s finance and household sectors, as well as the broader economy, on a stronger footing than is currently the case. All else being equal, JP Morgan is of the view that this should be positive for the longer-term investment and productivity outlook. Rachel Ong, Professor of Economics at Curtin University says that the stricter regulations are not likely to impact house prices. “The tightening of banks’ lending standards and stricter credit controls should lead to a reduction in demand for properties. “However, this prospect is unlikely to translate into any meaningful reductions in property prices. Property prices in Australia have remained persistently high since the early 2000s,” she says. Brendan Coates, Fellow from Grattan Institute, says that any short term reduction in house prices is unlikely to have much of an impact. “Tighter lending standards to reduce the amount of money prospective homebuyers could borrow would push down property prices, at least in the short-term. But the effect is likely to be modest, because banks have already tightened lending criteria in recent years,” he says. 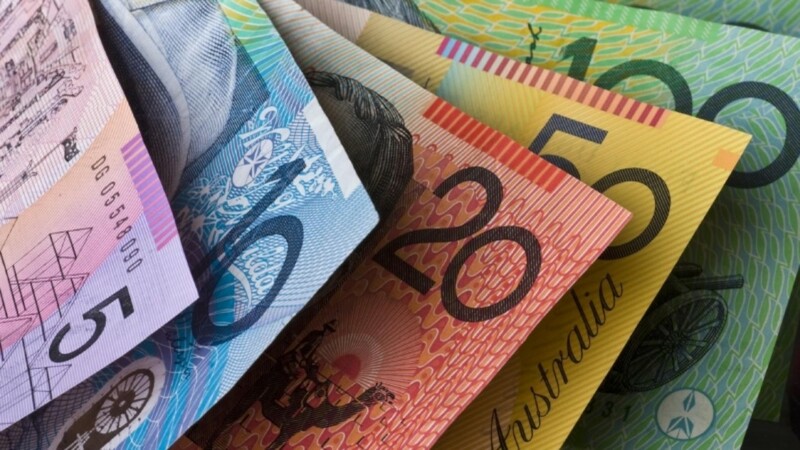 Maria Yanotti, Lecturer of Economics and Finance, from University of Tasmania, is of the opinion that the Royal Commission is more likely to affect the supply of financial services, than demand for loans. “As a consequence of the commission’s findings we would like to think that financial institutions will have to put in place better compliance processes and stop cost-saving or income-generating practices that disadvantage or put consumers at risk. These new processes and practices will translate into higher costs for the financial institutions, which will be passed on to consumers via higher interest rates and/or lower access to finance. “This situation will result in lower demand from those looking to own a home, in favour of higher demand for rental housing. But the effect of higher interest rates may not be strong enough to decrease demand for property by real estate investors and businesses. “The real drivers of property prices are land availability, construction costs, population growth, and to a lesser extent finance access and cost,” she observes. It seems apparent that falls in property prices are unlikely to make much of an impact, or are merely confined to the short-term, giving a good outlook for investment in Australian property for investors keen to get a bargain whilst capital growth has slowed. What are your thoughts about the impact of the Banking Royal Commission on property in Australia? Drop us a comment below. If you are interested in Australia and, particularly, Melbourne’s potential for high returns, don’t hesitate to give us a call at 3163 8343 (Singapore), 03-2162 2260 (Malaysia), or email us at info@csiprop.com! A significant change to the landlord licensing scheme is the exemption of licensing for smaller HMOs. If you are a landlord renting out your premises in the UK to multiple occupants and have been exempt from licensing all this while, you may want to pay attention to the latest changes in legislation. Since its implementation in the UK some 8 years ago, the landlord licensing scheme has brought changes to the UK housing market, affecting landlords across the country. Landlord licensing, also known as selective licensing, sets out to ensure that landlords are “fit or proper persons” and that buildings for rent are fit for occupation — all with the intention of raising standards and improve the rental market. Recently, the UK government released new guidance affecting landlords of houses in multiple occupations (HMOs). The overhaul will take effect on 1 October. Due to their shared facilities, HMOs often offer cheaper accommodations to students, migrant workers, and young professionals looking for cheaper rental housing. The new guidance in the landlord licensing scheme is aimed at tackling overcrowding and ensuring all landlords’ properties reach minimum standards. Not less than 4.64 square meters for children under 10 years old. Rooms that do not fulfill the minimum requirement are not allowed to be used as sleeping accommodation. Those who abuse the regulations will be charged a penalty of up to £30,000. The government also set out new guidances related to waste disposal, given that waste generation by HMOs is higher than standard households due to the high number of occupants. All the above new amendments will take effect in cities in which the landlord licensing scheme applies, for instance, London, Liverpool, Nottingham City, Leicester City, and few regions in Manchester. We published an article on the landlord licensing scheme on our blog last November. Landlords should keep abreast of regulations affecting them or risk being penalised by the UK government. To find out about the scheme in general, take a look at first blog here: https://csiprop.com/landlord-licensing/. CSI Prop looks forward to continously keeping our readers and investors updated on the latest happenings in the Australian and UK housing markets. For a detailed list of the changes to HMOs, scroll down to the sources below. Birmingham was once called ‘the first manufacturing town in the world’ and was the strategic heart of manufacturing Britain in the 20th century. The rise of the city in the immediate years after World War 2 led to fears at the top that it was becoming too powerful at the expense of the rest of the country. The government moved some 200 industrial firms and projects out of the region to other parts of the country, which dealt a devastating blow to the Brummie economy. The once-great city fell into a steep decline in the 1970s, and unemployment rose from zero to close to 20%. In just a couple of decades, Birmingham transformed from the manufacturing powerhouse of a fast-growing Britain to a symbol of failure. Today, however, paints a very different picture. The city is currently enjoying a burst of economic success, owing its change in fortune to a pro-development attitude by the Labour-run council and a well-judged government decision to press ahead with important transport infrastructure. Birmingham’s Big City Plan, announced in 2010, sets out a development masterplan that aims to expand the city core by 25%. This will add £2.1bn yearly to the city’s economy. As part of the plan, £4bn in transport improvements have been announced to transform road and rail links in the city. Birmingham is the first stop on the High Speed Rail (HS2) coming from London, which will put the city’s more than 1.1 million people within under an hour’s journey of the capital, when it is ready in 2026. As it is, Birmingham is the most popular destination for people moving from London. More than 6,000 people left London for Birmingham last year, according to the Office for National Statistics (ONS), and it looks like the HS2 will continue to inspire this exodus in the coming years. The second, third and fourth most popular destinations were all within 80km of London. Businesses are also relocating from London to Birmingham. HSBC’s new head office for its retail and business lending operation, is due to open in July 2018. The bank’s move brings with it more than 1,000 of its existing London staff, and will employ some 2,000 people when it opens. Deutsche Bank has also expanded its operations in Birmingham, with a total of 1,500 employees in front and back office capacities. The average house in Birmingham costs £162,701, just over a third of London’s average at £478,853. Office rents in Birmingham are also about a third of those in the capital. Little wonder, then, that many Londoners and businesses operating in the capital are choosing to move to Birmingham. Nevertheless, as with other parts of Britain, the supply of housing in this Brummie city hasn’t quite kept pace with demand, charting a potential shortfall of some 30,000 homes. Supply of land is scarce and constrained by the greenbelt, which is a legally protected green area surrounding the city, and not allowed to be used for development. With the shortfall in housing, rental demand is growing due to an ever-increasing affordability gap for the city’s young population trying to get on the ladder. JLL predicts an increase in build-to-rent housing with a shift of focus from price towards quality and location. They forecast prime values to hit £500 p.s.f. by 2020 with performance being strongest in the city centre. Compared to London, Birmingham is still currently 60% cheaper for a new-build project, suggesting significant upside potential. Investors can look at new-build apartments like Arden Gate in the city centre as a great option for investment. This development has an attractive location, being only a few minutes’ walk from the central transport hub of New Street Station, which has just undergone a £600m renovation. It is close to entertainment and shopping centres and major businesses, including the HSBC head office. In a 2017 survey, PwC ranked Birmingham as the highest performing UK city, ahead of Manchester, Edinburgh and London. Real estate consultancy Knight Frank predicts 19.7% rental growth by 2021, and 23.5% house price growth by 2022, further building investors’ confidence that Birmingham is a high growth market with a promising potential for high returns. What are your thoughts about the city of Birmingham? Drop us a comment below. If you are interested in Birmingham’s investment potential for high returns, don’t hesitate to give us a call at 3163 8343 (Singapore), 03-2162 2260 (Malaysia), or email us at info@csiprop.com! Cryptocurrency: Hottest Investment of the Decade? CRYPTOCURRENCY: BANE OR BOON? Despite being declared legal tender in many countries across the globe, cryptocurrency continues to draw an equal measure of flak and fealty. BREAKING NEWS: Yesterday, Bithumb, a South Korea-based cryptocurrency exchange announced the suspension of its deposit and withdrawal services after $35m worth of cryptocurrencies were stolen by hackers. Bithumb is one of the busiest exchanges for virtual coins in the world and the second local exchange targeted by hackers in just over a week. The news sent ripples through the market with Bitcoin and Ethereum recording price falls, according to CoinDesk, a news site specialising in digital currencies. This is not the first nosedive in the cryptocurrency world. Digital currencies — like the stock market — are highly reactive, recording multiple tumbles in recent history. 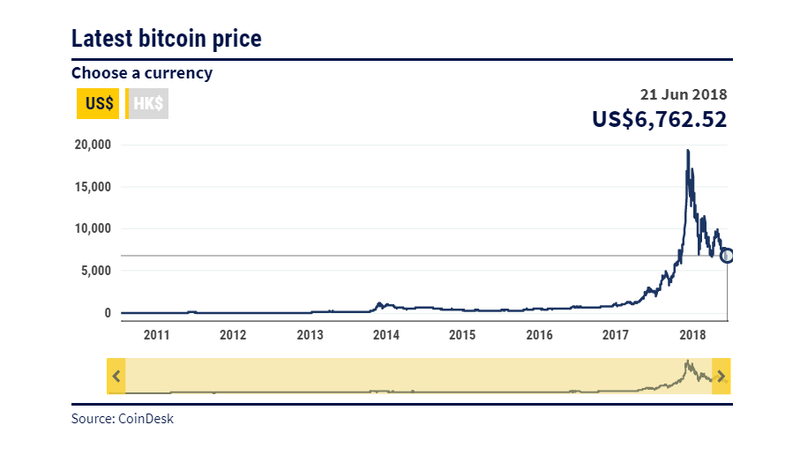 The price of Bitcoin, the world’s best known digital currency, has been tracking a downward spiral since the start of 2018, plummeting heavily from the Dec 2017 price of $18,960 to $6,762 at time of publication. Still, cryptocurrency has risen from obscurity and is now legal tender in many countries across the globe. And, it continues to draw flak and fealty in equal measure. The inherent nature of cryptocurrency and the world of blockchain ensures no possibility of double-spend as the system is built to be irreversible and transparent to the peers within its ecosystem. Cryptocurrency has also been touted as the hottest investment opportunity currently available. The potential rewards (and risks) are huge; its value can fluctuate by as much as a few hundred dollars in a single day and, potentially, one can either make (or lose) a lot of money in a short period of time. 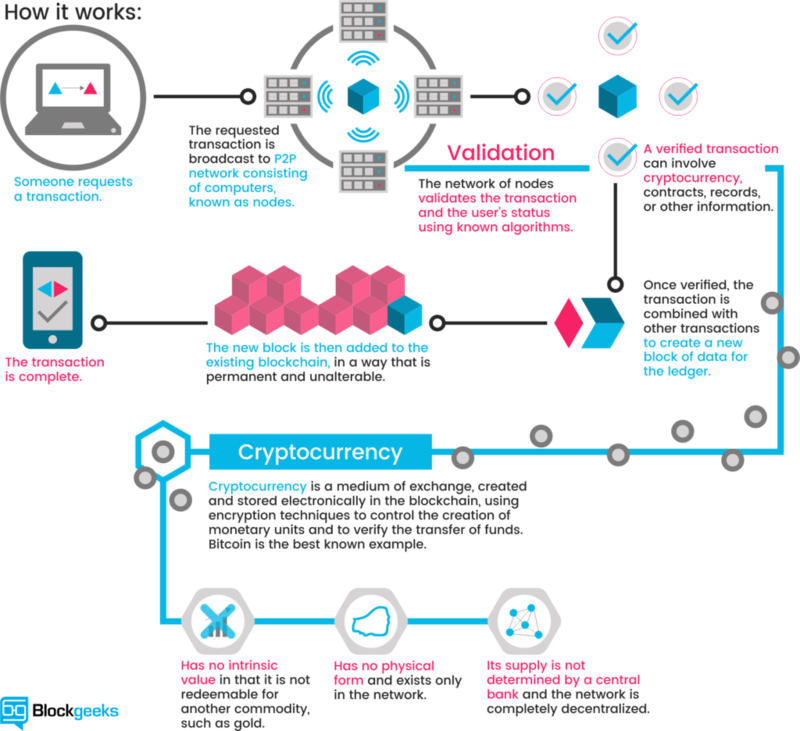 One can also trade in it, purchase goods with it, earn money from it (through mining), and it is recognised as a form of payment in some jurisdictions. Cryptocurrencies are high-risk investments and, as such, their market value is highly volatile, fluctuating like no other asset’s. It’s easy to lose (or make) a tremendous amount of money in a day. Cryptocurrencies are not backed by a central bank/organisation, and are therefore unregulated to a certain extent. It is subject to price manipulation. Its security is questionable, as clearly demonstrated in yesterday’s Bithumb heist, as well as incidences of hacking in the past. Perhaps the biggest theft in the short history of cryptocurrency happened in 2014, when more than $450m in bitcoins disappeared from customers’ accounts in the Mt Gox exchange in Tokyo. This year, Google, Facebook and Twitter announced a crackdown on cryptocurrency ads on their sites in a move to protect investors from fraud. More famously, Warren Buffet, in yet another rail against digital currency, described Bitcoin as “rat poison squared” and that it’s “creating nothing”. “When you’re buying non-productive assets, all you’re counting on is the next person is going to pay you more because they’re even more excited about another next person coming along,” Buffet said in an interview with CNBC. BitMex CEO Arthur Hayes, however, is unfazed by Bitcoin’s volatility, predicting that the cryptocurrency will hit $50,000 by the end of the year. 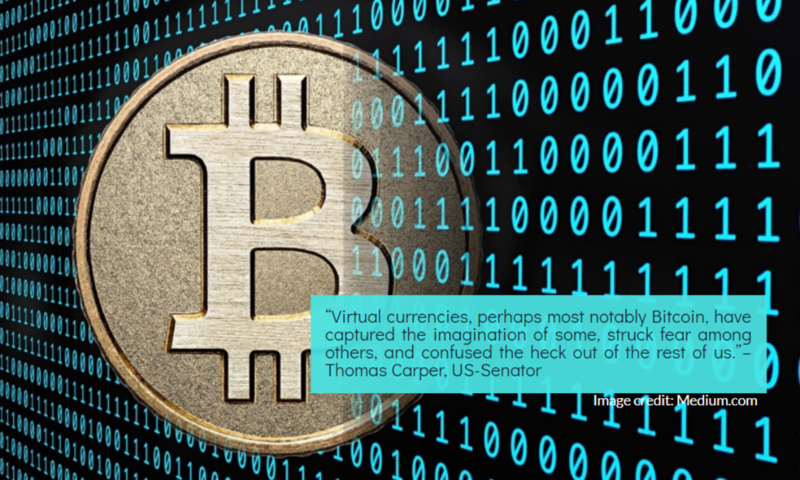 Cryptocurrency may well be the investment of the decade with incredible returns, agrees Virata Thaivasigamony of CSI Prop, a property investment consultancy with offices in Kuala Lumpur and Singapore. “But it needs to approached with a combination of care and sheer ballsiness,” he adds. As inflation rises, so, too, do rents and housing values. In an inflationary environment, real estate assets react proportionally to inflation. And real estate has incredible tax benefits and cash flow incentives. Ultimately, investing in cryptocurrency — as with all other investments — is a gamble. A question to ask yourself before embarking on any investment is: how risk-averse are you? We are colossal fans of property investment (duh!) and we make no apologies for it. Still, we remain curious about the many other types of investments out there and would love to hear your thoughts in the comment box below. If you’re a die-hard property investment fan like us, and are thinking of expanding your UK and Australia property portfolio, hit us up: we’ve got some good stuff for you. Should you invest in property in Singapore? Conventional wisdom, especially among Asians, dictates that you should invest in property. CSI PROP takes a closer look at investing in the Singapore property market and compares it to property in other markets overseas. 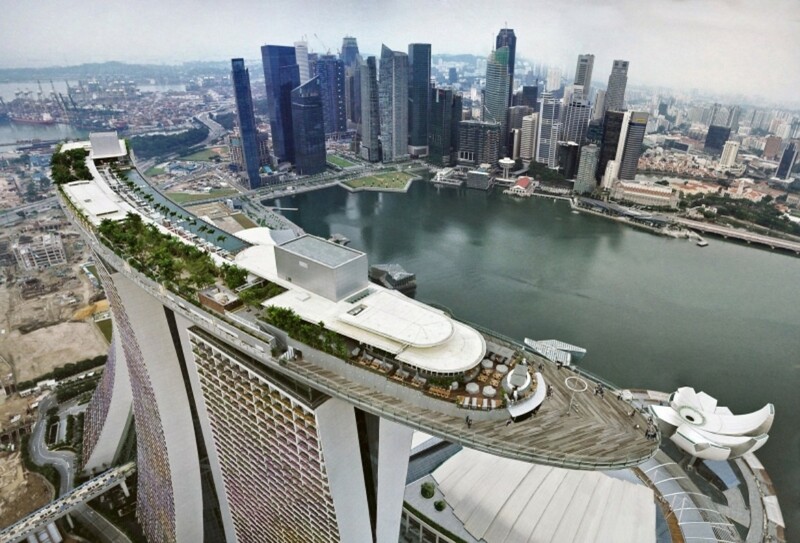 Being a tiny island surrounded by water on all sides with not much space available for construction, the only way to build is up — creating the familiar high-rise skyline of Singapore. With the severe lack of land, it is no surprise that property prices in Singapore are one of the highest in the region — the second highest in Asia after Hong Kong, according to S&P Global Ratings. The prohibitively high prices of property raises the bar for investors, only allowing for the more affluent section of the population, with ample capital, to invest in the market. The Prime Minister of Malaysia, Mahathir Mohamad had announced recently that the Kuala Lumpur to Singapore High Speed Rail development will be postponed until further notice. 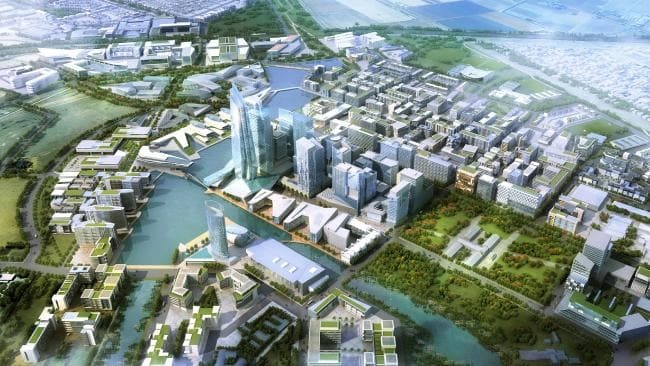 Following this announcement, envisioned property price growth for the Jurong area in Singapore and the Iskandar region in Johor is unlikely to materialize, much to the dismay of investors. Government intervention has, so far, kept housing price growth in Singapore in check. A report by S&P Global Ratings found that cooling measures and an accommodative monetary policy have helped to control house price inflation. Until recently, that is. Despite warnings from the government, house prices in Singapore surged by 9.1% over the past year, after nearly four years of price declines. This led the government to pull the brakes on the property market yet again. Its most recent cooling measures — possibly the 12th, to date — have been the strongest seen in the island nation in five years. The government has now slapped an additional 5% stamp duty on property purchases for individual home buyers and tightened limits for housing loans. 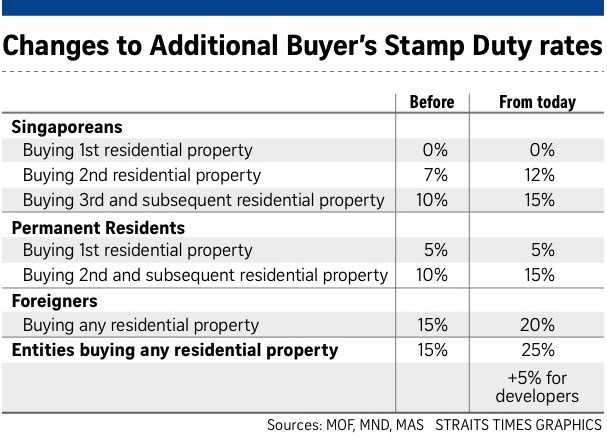 First-time buyers who are Singaporeans or permanent residents are exempt from the increase. Foreigners/foreign investors now pay 20% on stamp duty compared to 15% previously, whilst entities will have to pay 20%, an addition of 10% to previous rates. An extra 5% acquisition tax has also been imposed on developers buying land to build residential properties, which can only translate to an increase in property prices for the buyer in the end. Following the government’s drastic measures, new private home sales are expected to reduce by 15% to 20% year-on-year for the whole of 2018, reported Singapore Business Review. As it stands, developers have already sold 41.7% less private residential units (654) than the previous month, according to the Urban Redevelopment Authority. Developers volumes were 20.2% below the year before. The recent action by the Government to control inflation may be good news to home buyers, but from an investment perspective, capital gains from investing in Singapore property may be lacking compared to investments elsewhere. Singapore’s rental market remains in the doldrums, despite signs of a property market recovery from last year. Property prices do not always have a direct relationship with rentals. Singapore’s rental market is very much driven by foreign demand, given that over 80% of Singaporeans own a HDB flat. Overall gross rental yields for non-landed private homes from January 2017 to January 2018 hovered just around 3.2% — the lowest in a decade. The weak rental market deflates returns on investment in Singapore property, lessening its attraction for investors. Stamp duties, property tax, legal fees and agent commissions further cut into profits. In Singapore, residential property that you own, but are not physically living in (whether rented out or vacant) is taxed from 10% to 20% depending on the house value. Commercial properties have a flat tax rate of 10%. In June, rentals for private condos and apartments in Singapore fell 0.2% per cent, while HDB rents fell 0.8% per cent in June from the previous month, with volumes continuing to decline as well, according to real estate portal SRX Property. The rental income that you are able to earn from local property will be impacted by the high property tax, putting a damper on returns. With less-than-stellar returns in Singapore property, it is no wonder that many investors are looking beyond its shores to overseas markets like the United Kingdom and Australia, which can be far more lucrative. The UK currently faces a severe shortage of homes — in England itself, there is a backlog of 3.91 million homes, according to research by Heriot-Watt University. The high demand and low supply for housing in the United Kingdom has driven capital growth. Local economies in the regional cities are booming due to initiatives like the Northern Powerhouse, which bring regeneration and infrastructure improvements to England’s North. Cities in the Northern Powerhouse like Manchester have recorded price growth of an amazing 12.7% last year, with Liverpool following closely behind at 10.8%. This is an indication of the potential that these cities have to offer for the savvy investor. Singapore currently holds the title of being one of the largest institutional investors in student property in UK and beyond, in recent years. Mapletree and GIC had spent a combined S$2.15 billion on student housing in the UK in 2016, in cities like Leicester, Birmingham, Nottingham, Oxford, Edinburgh, Manchester and Lincoln. Just this month, Centurion Corp bought a student housing property in the British city of Manchester for S$33.66 million. Australia faces a similar dilemma to the UK, with the last decade of construction failing to keep up with the country’s record population growth. 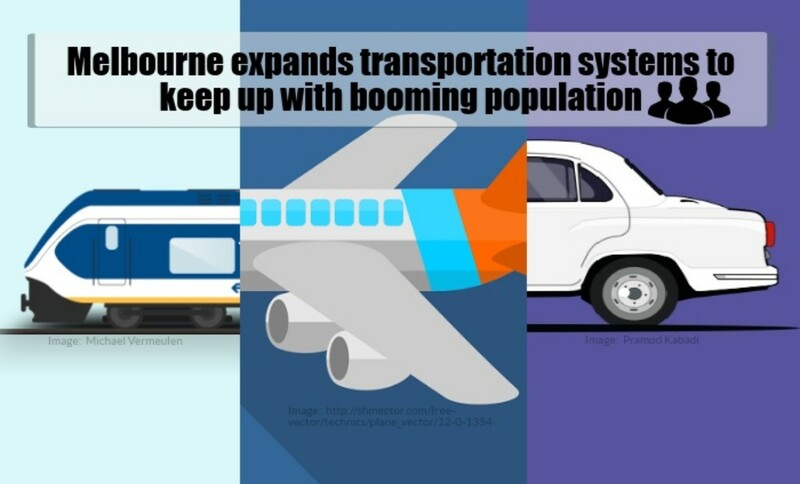 Melbourne, in particular, is one of the fastest growing cities Down Under. This city is slated to overtake Sydney as Australia’s most populous city according to the Australian Bureau of Statistics (ABS). The Urban Development Institute of Australia warned last year that Melbourne could have a shortfall of 50,000 houses by 2020. Whilst the 5 Australian capitals collectively experienced a 0.7% drop in capital growth for the 12 months leading up to May 2018, property in Melbourne performed beyond expectations, growing by 3.3%. Singaporeans are putting money into Australia. Last year, Cushman & Wakefield reported that Singapore overtook China as the largest source of foreign capital for Australian commercial real estate, as the Chinese government tightened restrictions on overseas investments for its citizens. “Australia’s economic resilience, adaptability and 26-year record of steady growth provide a safe, low-risk environment in which to invest and do business,” she added. Savvy investors can jump on the foreign property investment bandwagon and take advantage of the supply-demand imbalance in countries like Australia and the UK for more rewarding returns on their investments. What are your thoughts about investing in the Singapore property market? Drop us a comment below. If you’re interested to tap into the attractive potential that overseas markets have to offer, don’t hesitate to give us a call at 3163 8343 (Singapore), 03-2162 2260 (Malaysia), or email us at info@csiprop.com! Two-thirds of buyers still work in the capital, and transport links are what enable them to live away from London. Larger homes are cheaper to find away from the capital, and, with improvements to the public transport networks, many prefer the larger living space, despite having to take a longer commute to work. Migration out of London is at its highest ever level. The number of Londoners in their 30s leaving the capital has risen by 27% over the past 5 years, according to the Office for National Statistics (ONS). Unsurprisingly, the most popular destinations for these leavers are concentrated around London’s commuter belt. Savills data shows that 14% of all their new home buyers across the UK were moving from London in the last 3 years, with 39% of them upsizing to a larger property. Between 2015 and 2017, the average new build home bought by a Londoner was 14% larger than a home bought by someone moving from elsewhere. Two-thirds of buyers still work in the capital, and transport links are what enable them to live away from London. Larger homes are cheaper to find away from the capital, and many prefer the larger living space, despite having to take a longer commute to work. Transport has a key role to play in the delivery of new homes. As people look to move to a new area, a transport hub can fuel residential demand and, consequently, house price growth. Train stations that have seen the largest increase in passenger use over the last two years are those that have seen larger volumes of new homes delivered. Areas such as these have, on average, seen house price growth that is 5% higher than neighbouring areas over the past five years. As people continue to move out of London, improvements to infrastructure can provide an opportunity for developers to take advantage of the demand for new homes in commuter locations. 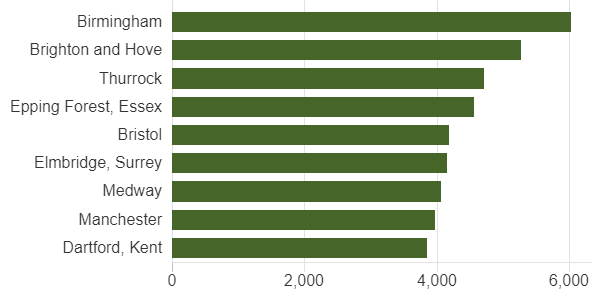 Over the past 2 years, stations that saw the largest increase in passenger use were those within a 19- to 39-minute journey from a central London terminal. These are also the markets which have seen the largest increase in secondhand sale prices over the past five years – an average of 44% against the average for England and Wales of 20%. 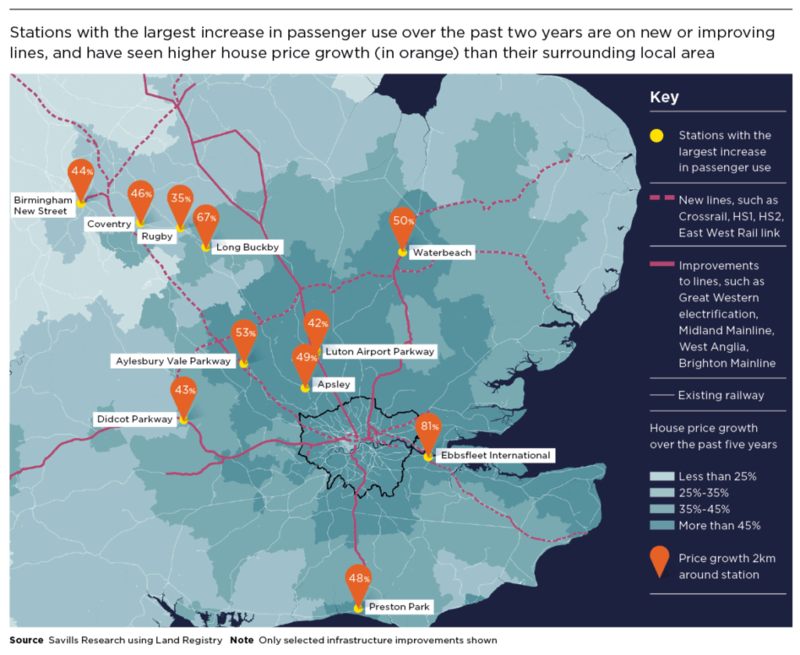 Some of the highest increases in passenger use were in lower-value locations in the Home Counties such as Ebbsfleet, Apsley and Luton – areas on the cusp of higher-value ones. As affordability in the capital becomes more stretched, we expect these up-and-coming locations to remain popular with London movers, particularly if they are located on new or improving lines such as HS1 or the Midland mainline. Hotspots beyond traditional London commuter locations have already benefited from infrastructure improvements. The upgrade of Birmingham New Street, for example, has seen a 33% increase in passenger use since 2015, while house prices within 2km of the station have increased by 44% over the past five years. Ahead of High Speed Rail 2 (HS2) at Curzon Street station, there has been significant investment in the regeneration of Birmingham city centre. This has fuelled commercial investment from companies such as Deutsche Bank and HSBC, and has helped to support residential demand and subsequent house price growth. 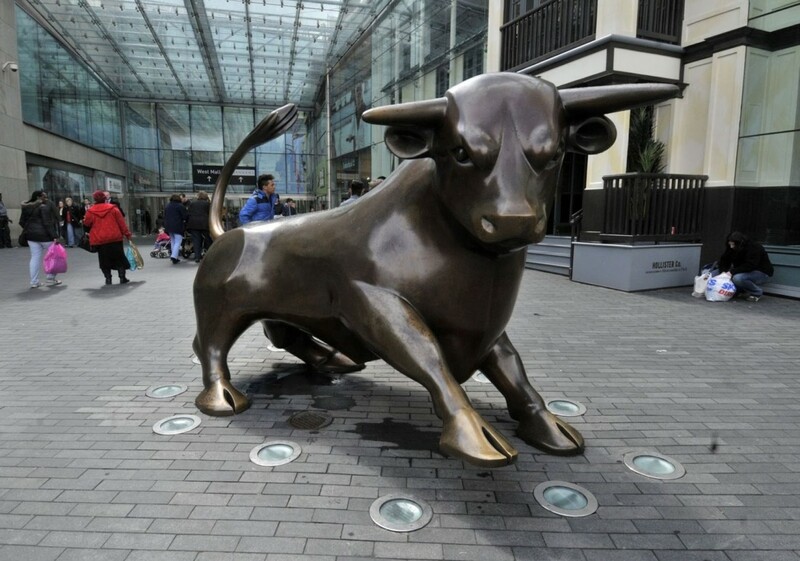 This is also rippling out into markets surrounding Birmingham. Rugby, Coventry and Long Buckby have all seen an increase in commuters of between 18% and 19% while house prices have increased by 35%, 46% and 67% respectively over the past five years. New residential developments in the city are attractive to investors as a result. One example is Arden Gate which is located in the prime city central area. These luxury apartments are only a few minutes away from the central New Street train station, close to entertainment, shopping centres, and major businesses, including the HSBC HQ. Currently the developer is offering a 6% rental assurance for the first 12 months. Prices start from £182,950, with up to 70% financing available. Up in the Northern Powerhouse, Transport for the North (TfN) which became England’s first sub-national transport body in April revealed a £70bn 30-year plan that includes the Northern Powerhouse Rail. Under the plan, new lines and upgraded existing lines will be linked to the HS2, increasing connectivity between the North’s largest cities and enhancing opportunities for both workers and investors alike. The ripple is taking effect for, as a direct consequence, Manchester’s Piccadilly station and its surrounding areas will be overhauled. This could be the start of a series of more overhauls across the Northern Powerhouse. The ripple effect of Londoners moving to the commuter belt is expected to gain momentum. Occupiers searching for more space are likely to bring London’s equity with them and will be targeting markets with the quickest links to the capital. These include established prime locations and up-and-coming areas which are more affordable than its surroundings. This ripple effect will be expected to move beyond London’s commuter zone to markets in the Midlands and the North. House prices there have risen more in line with wages, and therefore remain more affordable. The most capacity for growth will likely be there over the next few years. The strong local economy and infrastructure investment will remain catalysts for residential demand and house price growth. 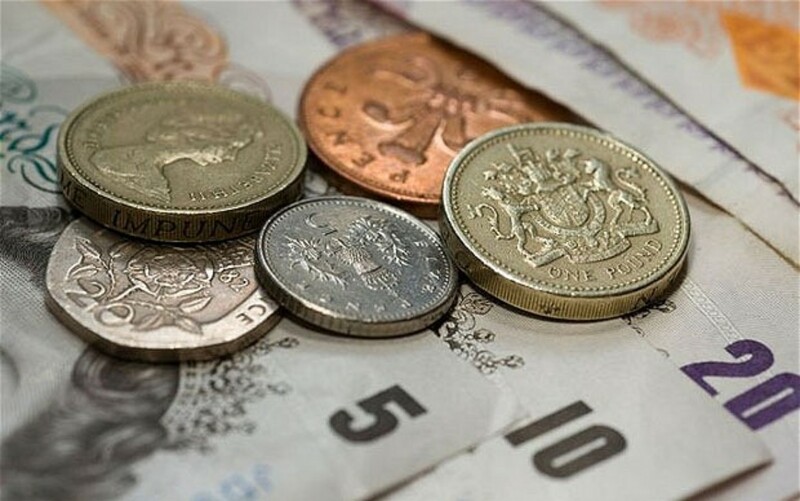 The £1.7 billion Transforming Cities Fund will provide funding for improved connectivity in areas such as Greater Manchester, Cambridgeshire, the West Midlands and Liverpool City Region. 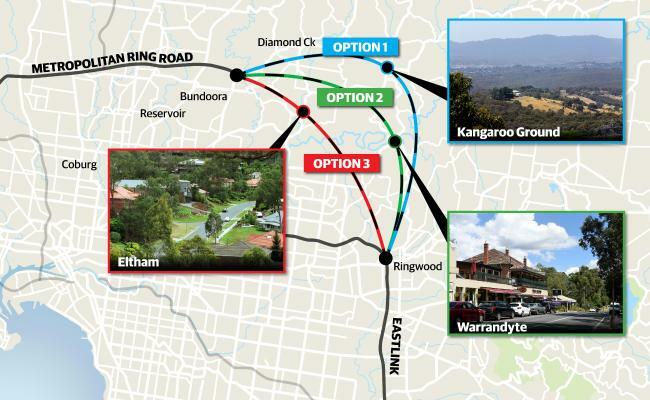 What do you think about transport improvements driving house prices? Drop us a comment below. If you’re interested to take advantage of transport improvements in the pipeline, and invest in property in the UK regional cities, don’t hesitate to give us a call at 03-2162 2260, or email us at info@csiprop.com.